Sweet Fanny Adams Presents "Lady Fanny's Nitwit Revue" is not currently available. 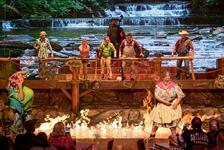 Check out our other great Gatlinburg Shows. Filled with Vaudeville songs, comedy routines, sketches, and the insanely popular “Dancing Trench Coats,” the 3-part Lady Fanny’s Nitwit Revue has audiences laughing hysterically and on the edge of their seats. 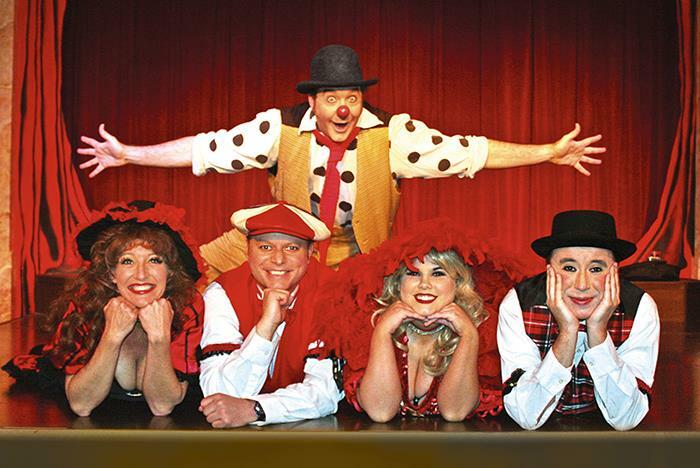 Participate in the old-fashioned Sing-a-Long filled with surprises and laugh your way through the comedic interpretation of Sherwood Forest. 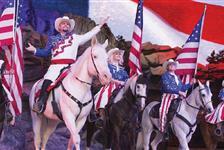 Don’t miss this Smoky Mountains treasure! 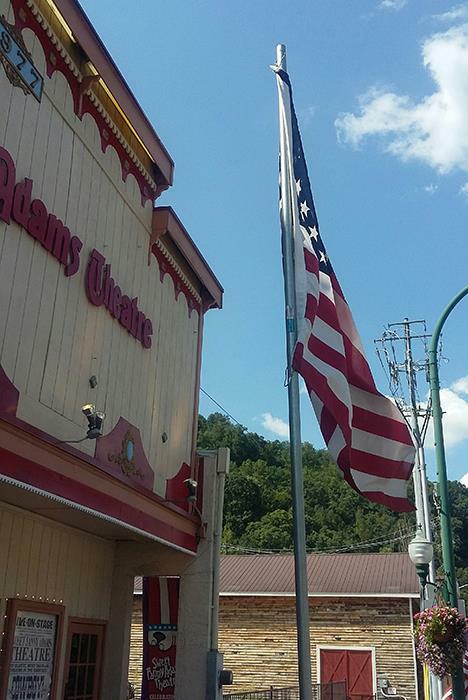 Located in Sweet Fanny Adams Theatre at Traffic Light #3 in Gatlinburg. Concessions are available for purchase. Arrive no later than 15 minutes prior to showtime. 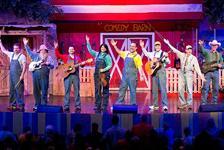 Sweet Fanny Adams is Gatlinburg's only musical comedy entertainment attraction. 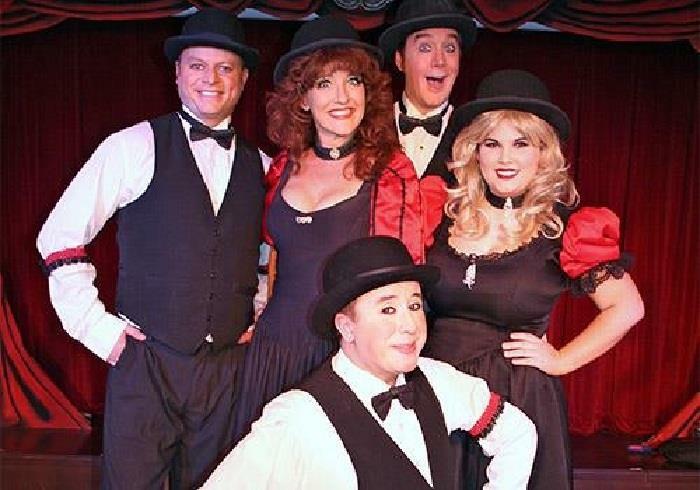 from Sweet Fanny Adams Presents "Lady Fanny's Nitwit Revue"
a one-of-a-kind Vaudeville Variety Show. 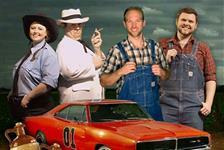 We have songs, sketches, and comedy routines including the ever popular “Dancing Trench Coats”! Fall in love with our version of William Shakespeare's Romeo and Juliette. Don't forget our old-fashioned Sing-a-Long, full of unrehearsed surprises. If you are caught not singing, dastardly things may befall you! Staring the Great Victorian Amusement Company! 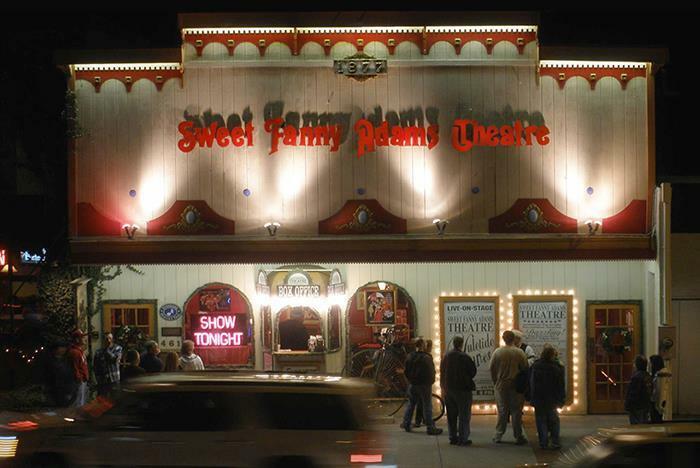 Sweet Fanny Adams Theatre opened in 1977 and is Gatlinburg´s only musical comedy entertainment attraction and the oldest purveyor of professional, live-on-stage, original musical comedies, outrageous humor and hilarious fun in the Smokies. Our theatre’s unique format hearkens back to the old Music Halls of the 1890s. Multi-talented performers take turns adding their uniqueness to the inevitable comic mayhem for which Sweet Fanny Adams Theatre is renowned. 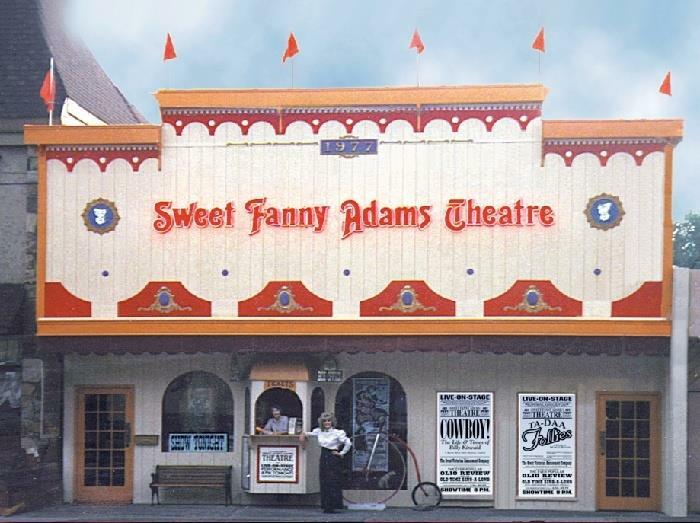 Frequently Asked Questions about Sweet Fanny Adams Presents "Lady Fanny's Nitwit Revue"
The Sweet Fanny Adams theater is located at Traffic Light #3, around the corner from Ripley’s Aquarium of the Smokies at 461 Parkway, Gatlinburg, TN 37738. Is the show appropriate for all ages? Yes. The show is family-friendly. Are concessions available for purchase? Please arrive no later than 15 minutes prior to showtime to take your seats. Yes. Plenty of self-parking is available nearby. Yes. We highly suggest booking your tickets in advance. Shows will sell out! If my child is sitting on my lap, do I need to purchase a ticket? Young children under 2 who plan to sit on a parent’s lap do not need a ticket.